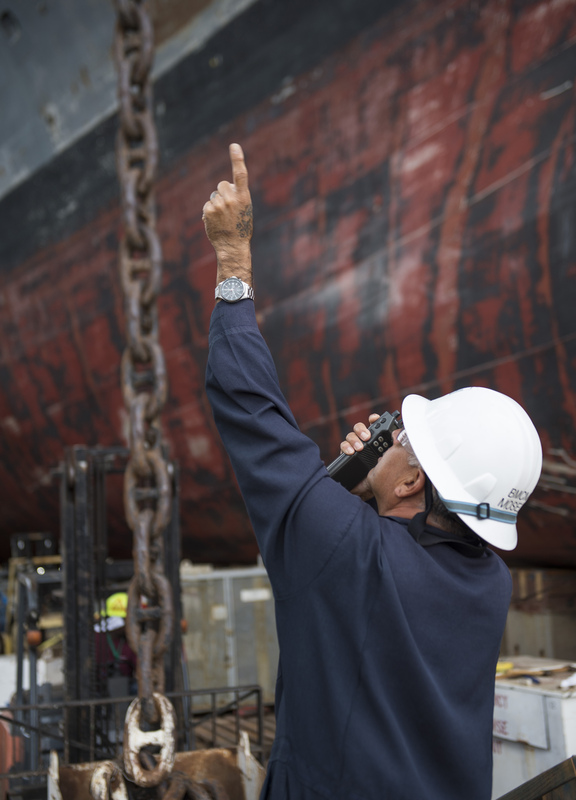 As the Navy’s surface ship maintenance and modernization requirements are projected to keep rising, the maintenance community is testing out a few new ideas to bring in more ship repair yards and help those yards be more efficient in their work. The Navy plans to conduct about 35 percent more surface ship maintenance work in each of the next three years compared to recent averages – and that figure will only go up if the service follows through with plans to increase the size of the fleet – and Rear Adm. Jim Downey, commander of Navy Regional Maintenance Centers and deputy commander for surface warfare at Naval Sea Systems Command (NAVSEA), told USNI News in a Sept. 28 interview that his biggest concern is drydock availability. Surface ship maintenance contracting has gone through several iterations in recent years – the multi-ship/multi-option (MSMO) setup was meant to optimize workload predictability for yards, and the current Multiple Award Contract/Multi-Order (MAC-MO) is meant to optimize cost for the Navy. Now, to deal with the drydock capacity issue, the Navy is trying out yet another contracting structure that would address this by incentivizing two-ship maintenance contracts to make best use of space at repair yards, bringing in new yards that have capacity in a drydock or on land to conduct ship maintenance and modernization work, and adding schedule flexibility that focuses on on-time delivery of the ship instead of meeting specific smaller milestones along the way. “We have so much work we have a capacity challenge on drydocks,” Downey said. Downey said his team has met with industry about a dozen times so far to talk about this new “hybrid approach” to ship maintenance contracting, which seeks to get the multi-ship savings associated with MSMO and the competition-induced cost savings from the single-ship MAC-MO approach. After all these meetings, Downey said the Navy and industry agreed to test out a set-up where the Navy solicits bids on two ships in a class at the same time, so industry can find efficiencies in having welding taking place on both at the same time, for example, or one is moved into the dry dock the same day the other leaves, to maximize the dry dock’s usage. The Navy will give up some control on smaller milestones along the way, instead only requiring the repair yard to meet major dates like combat system light-off and delivery back to the fleet. More teaming opportunities are allowed – including with yards outside of fleet concentration areas, those that don’t typically work on warships, or those that primarily do new construction work – to pair up repair experts with those that have dry docks available or room on land to do ship maintenance. And, since work won’t be limited to fleet concentration areas, a single government team will oversee all the work to eliminate any confusion on who industry should be talking to, and to eliminate discrepancies in how work is conducted in different regions. This new approach will be tested with the USS Cowpens (CG-63) and USS Gettysburg (CG-64) cruiser modernization program work, the request for proposals for which was just released on Oct. 6. Downey said these are “significant docking resets” and have the potential for significant time and cost savings if industry can leverage the hybrid contracting model. Downey said he asked industry to not only bid on the two ships together, but to also submit traditional bids for the two ships separately so the Navy can assess what kinds of efficiencies could be built into the schedule and the cost estimate. The Navy should award a contract by early calendar year 2018 and get a first look at how the hybrid approach plays out. If all goes according to plan, Downey said, as yards adjust to the dual-ship bids, costs and timelines should decrease as the yards move up the learning curve, much like with new construction work. He would also be looking for fewer change requests, especially for matters related to schedule and sequencing, since the yards would have proposed that in the first place. And he would expect that the common government team working with companies in all regions would reduce discrepancies in how work is conducted on the East Coast versus the West Coast, for example. Downey also noted that the MAC-MO effort itself, which started as a pilot program in San Diego in 2013, put the Navy in a good position on cost and schedule and created a good jumping-off point for this new hybrid approach. In the MSMO to MAC-MO transition, the Navy moved from cost-plus contracts that gave a single yard several year’s worth of guaranteed work on a single ship class, to a fixed-price contract setup where each ship was bid on individually to allow for more competition and therefore lower prices. The Navy also separated the planning work from the maintenance execution, which Downey said was one of the biggest successes of the MAC-MO pilot program. 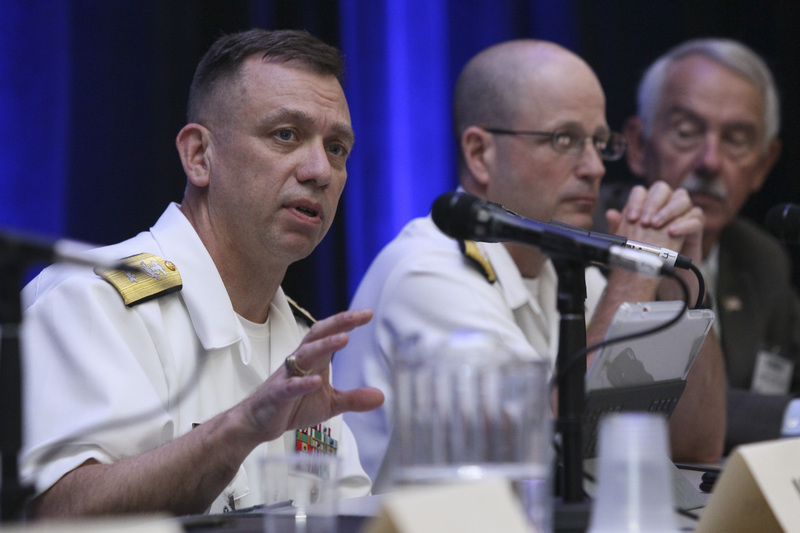 The Navy was challenged to articulate its requirements to the third-party planners in enough detail that awarding a fixed-price maintenance contract was appropriate, but Downey praised the effort as forcing the Navy to think harder about what it needed out of each maintenance availability. MAC-MO has now been in use everywhere except Hawaii for about two years now, he said. A year ago, the Navy was tracking about 60-percent on-time delivery of ships, Downey said; today, with a comparable number of ships in maintenance, the Navy is over 80-percent on-time. “We’re seeing on-time delivery is occurring in execution. We’re seeing, candidly, significantly less questions and lack of clarity in the bidding process, less contract changes, less questions from industry on clarifying the solicitation,” Downey said. The one-star admiral credited the third-party planning with most of that success. 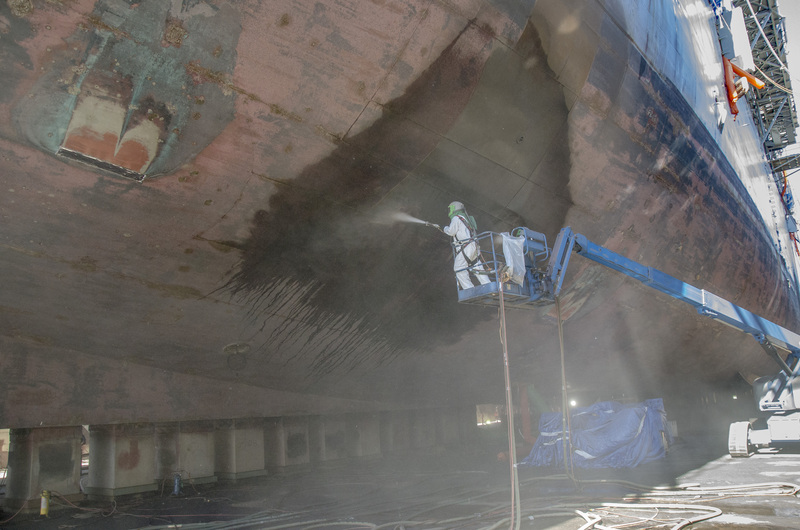 USNI News understands that some yards had preferred the MSMO setup because it allowed them to become experts in certain types of ship work only required on one class of ship – corrosion issues on the cruisers’ aluminum superstructure, for example. Going forward, the Independence-variant Littoral Combat Ships, with an all-aluminum hull, will present similar challenges. 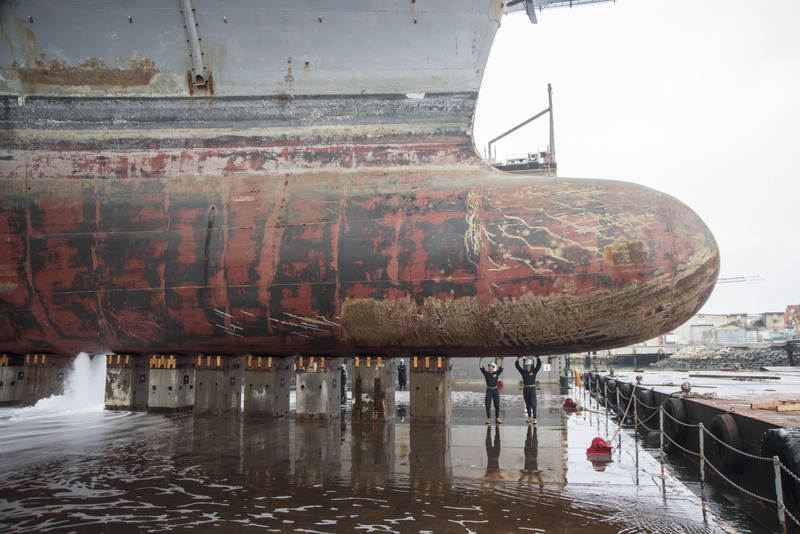 Downey acknowledged that concern but said that the Navy’s ship maintenance needs would change anyway as the ships aged and as the fleet composition evolved, so specializing in a certain type of work would only bring short-term benefit to the yards. In the long-run, he said, this hybrid approach’s predictable workload would be most beneficial to repair yards.